Good WiFi coverage inside a building can often be difficult to achieve. There are experts out there who can come into your place or work or home and use some measurement equipment to figure out where and how many WiFi access points are needed so you can walk around with your laptop and stay connected everywhere. But such expert help can often be expensive, and smaller businesses -- especially those who work from home -- may benefit from another much simpler solution: buy a few WiFi range extenders and try them out in different places. With a little luck you'll be able to eliminate those dead zones that have been bothering you, though why you really wanted to work in the first place with your laptop in the stairwell is beyond me. WiFi range extenders, which are sometimes called signal boosters or repeaters, basically just grab the signal from your WiFi router and give it a boost using their own circuitry and antennas. They're easy to install and can increase the signal strength throughout your home or office until you have good bandwidth everywhere. 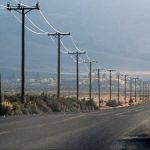 They generally come in one of two formats: standalone for desktop placement, which usually offers some additional Ethernet ports as well; and wall-pluggable for those of us who are fashion-conscious and don't like stuff cluttering up our desk. Here are five different WiFi range extenders available that I recommend from discussions I've had with my colleagues in IT from around the world. Model EX2700 from NetGear is a low-cost hugely popular wall-pluggable range extender that works with any standard WiFI router and can support up to 300 Mbps of bandwidth. It uses external antennas for better coverage and also includes a Fast Ethernet port so you can connect a wired device like a PC or smart TV or game player (in case your workplace allows some fun from time to time). You can even switch the device into access-point mode by configuring the software. And while it only operates on the 2.4 GHz WiFi band, this doesn't seem to have influenced the huge popularity of the device in the marketplace -- if you really need a dual-band WiFi extender see the next one below. Model EX3700 from NetGear is similar to the N300 described above but is dual-band for those who need support for 802.11ac and b/g/n devices. It also uses Netgear's proprietary FastLane(TM) technology, which allows both WiFi bands to be used together to create one super-speed WiFi connection with up to 750 Mbps bandwidth supported. 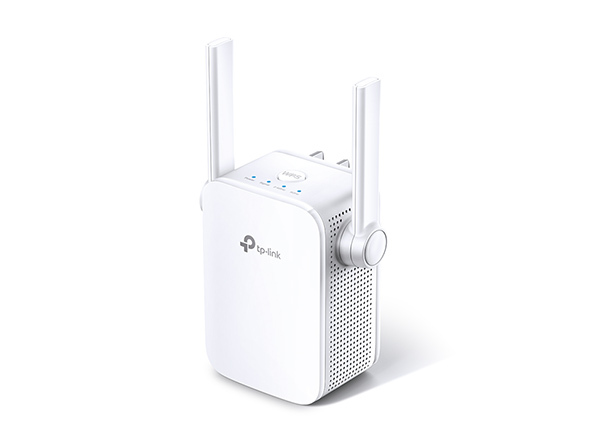 Normally when a dual-band repeater is being used, devices on both the 2.4 and 5 GHz bands can connect simultaneously, but FastLane allows for a dedicated band that connects the repeater to your WiFi device while the other band connects the repeater to your WiFi router. Of course, there's no benefit for enabling FastLane if all of your WiFi-enabled computing devices support only 2.4 or 5 GHz but not both. And besides the Fast Ethernet port, the AC750 has a hardware switch that makes it easy to switch to access-point mode. The main complaint I've seen with this device is that the instructions on how to set it up could have been done better. Setting it up with a laptop or PC is a pain, but fairly easy with an iPad or other tablet. Model RE305 from TP-Link is another great WiFi range extender that is recommended by several of my peers. It works with any standard 802.11 a/b/g/n/ac router and has an Intelligent Signal Indicator that makes it easy to determine the best location for installing it in your home or office. The two dual-band antennas give it a strong signal, and it has an access-point mode that lets it be used as a WiFi access point. 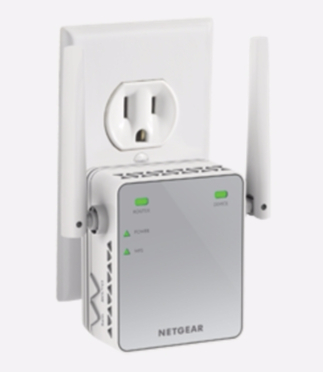 The AC1200 also includes a Fast Ethernet port for wired networking connectivity, and there are Android and iOS versions of its Tether app available that enable you to quickly access and configure different WiFi settings for device management, guest access, and access scheduling, which is terrific for homes since you can use it for parental controls. One key with using this extender effectively is to make sure you don't install it too far away from your WiFi router -- to do this simply make sure that the RE status LED on the device is indicating a solid connection. Model AC1900 Nighthawk from NetGear is a desktop WiFi range extender that offers dual-band WiFi up to 1900 Mbps total bandwidth and runs on a dual core 1GHz processor for top performance. There are three external antennas on this extender and it has a total of 5 GB Ethernet ports, so you can connect a lot of wired and wireless devices together, which in today's home and office environments is a prerequisite. 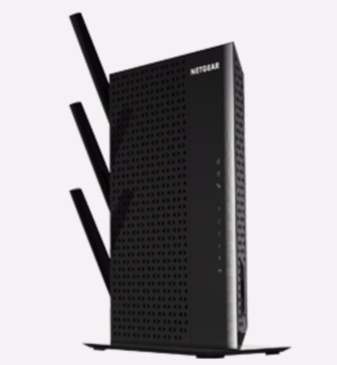 As with the Netgear AC750, the Nighthawk also supports FastLane technology and access-point mode. Setup is easy and the device even looks good in your bedroom if you have a smart TV for those nights you just can't sleep. The final recommendation I have to offer is from a company you may not have heard about. Securifi is a router manufacturer founded in 2011 that has offices in the U.S., Dubai, India, and Taiwan. 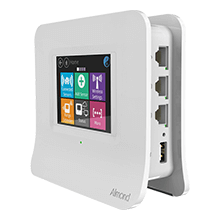 It offers a product called the Almond that has a touchscreen and takes only three minutes to set up and can be used either as your main WiFI router, a range extender, an access point, or a wireless bridge. The device is enormously popular and has over 12,000 reviews on Amazon, so it's got a lot of traction in the marketplace -- or at least among those who have heard about it. Reviewers also rave about the company's customer service (which is more than what many have been saying recently about Netgear). I've heard reports from some users that they've needed to reset the device frequently to keep it working as a range extender, but by installing it in a location where the signal strength is still strong from your primary WiFi router, these issues seem to mostly be resolved. The only other issue is that the unit doesn't seem to have its own internal battery so if you experience a power failure you have to set it up again (a simple UPS device can fix that). There's also a newer Almond 3 version, but I don't know anyone who has tried this so I can't comment yet on how well it works. Maybe someone who is reading this article owns one of these newer extenders and can comment on his or her experience using it. Disclosure: Securifi was a former client of the editor-in-chief and general manager of TechGenix. This article was written independently by one of our contributing editors without any input from anyone else on the editorial team.